Lana had some pictures she inadvertently took a few years ago and she was of course nice enough to give them back last week once she discovered them. I decided to put them up as I have time so expect more in the coming weeks. Did you know I used to be crazy about baseball and even more crazy about baseball card collecting? 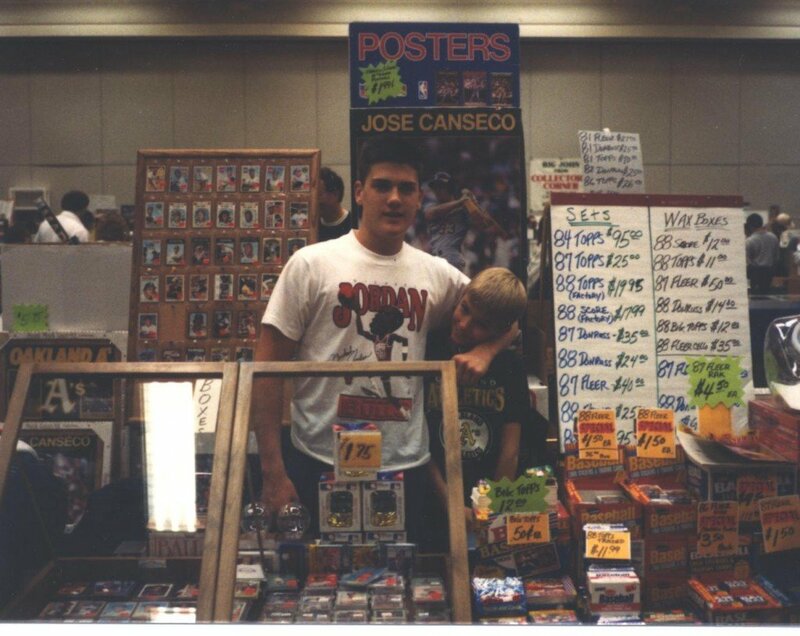 When I was about 10 or 11 I used to sort baseball cards for a guy who owned a baseball card shop in town. He evidently liked me and took me under his wing to teach me the business with his son (the one putting me in a headlock at a baseball card convention).